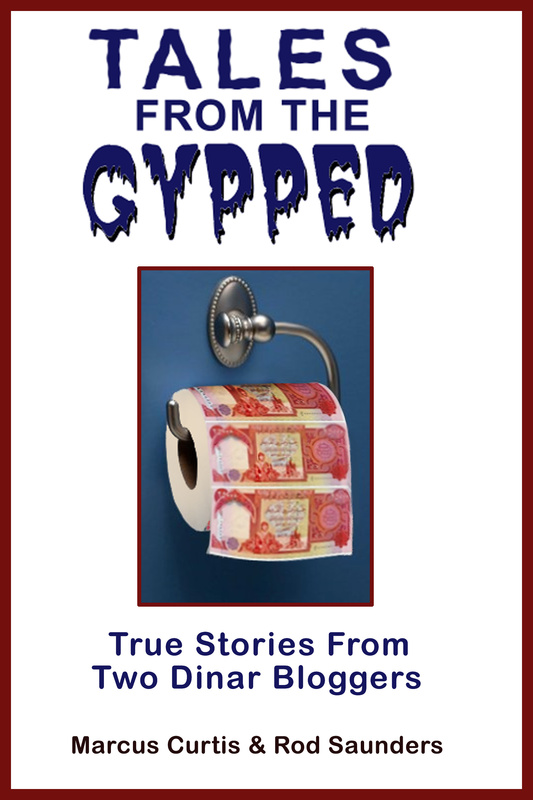 This blog is dedicated to exposing the lies of the dinar pumping douchebags, replacing fantasy with reality, and bringing some common sense analysis to the dinar community. Ever since Saddam Hussein was overthrown and Iraq’s new currency was introduced at a devalued rate speculators have been buying up the new Iraqi dinar in anticipation of a huge windfall once the sanctions against Iraq are lifted, conditions on the ground improve, and Iraq revalues or RVs its currency. Many people in the dinar community believe that the new value will be 86 cents, or 1000 times the current value of $.00086. Some think it will be $3 or more. Some have even predicted as high as $7. 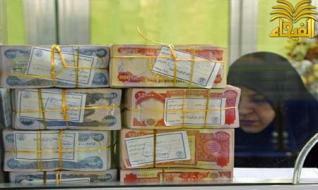 It is estimated that there are over two million speculators holding over 1 million dinar each. That would mean that speculators are holding between 2 and 3 TRILLION dinar and quite possibly more than that. So of course a new value of $1 per dinar would mean a payout to investors of $2-3 trillion USD. This is obviously impossible for a nation with a nominal GDP of around $80 billion, and yet new speculators are buying into the hype and buying up the dinar on a daily basis. Let’s think about this for a minute. Currently the world’s most valuable currency is the Kuwaiti dinar at around $3.60. Now if the Iraqi dinar were to RV at $3.86 as many are predicting that would make it the world’s most valuable currency. Does that make any sense? An occupied country with a crumbling infrastructure, sectarian division that threatens civil war, terrorist bombs going off on a regular basis, and an inept government that is still trying to get a handle on what democracy means, is going to have the world’s most valuable currency when their GDP per capita is 1/10th that of Kuwait? (Go to Wikipedia to see where Iraq stands in GDP. Behind such economic powerhouses as Kazakhstan, Angola, and Bangladesh.) Of course not! Is the Iraqi dinar a scam? Well that depends on what you’re referring to. The IQD is a legitimate currency. There are people out there selling counterfeit dinars or worthless Saddam era dinars so you have to make sure you’re buying from a reputable seller and are getting the real IQD. You could easily be scammed if you don’t. If you own the new Iraqi dinar and you go to Iraq you could use it to make transactions in Iraq just like you could use Canadian dollars in Canada or the Mexican peso in Mexico. So in that sense it isn’t a scam. If you bought the dinar thinking that it might increase in value at a rate that outperforms mutual funds over the next five years I would say it’s not a scam. But if you bought it thinking it would RV next week at 1,000-3,000 times its current value, then yeah ….. you’ve been scammed! And chances are it was by one of the douchebags we list on this blog. If you’re new to the dinar world then let me clue you in on a few things. This is a world full of flakes and crooks. Many (if not most) of the people invested are novices when it comes to investing. They found out about the dinar through friends or people at their church. They took the word of others that this would pay off bigtime and did little research if any. Some view this investment in spiritual terms in the sense that Iraq is modern day Babylon and that we are witnessing the fulfillment of bible prophecy in Iraq with the rebuilding of Babylon. Being so naive and gullible makes these people easy prey for the con artists. Never take anything you hear about this investment at face value. Always double and triple check to make sure that the information you’re getting is accurate and verifiable. Most of the so-called experts or “gurus” are in fact what we refer to in the investment world as “pumpers”. They constantly spew out lies and exaggerations about the dinar and Iraq in order to increase the sale of dinars, increase the advertising revenues to their dinar site, or sell anything from investment plans to dinar ebooks to storage facilities for your valuables. A few of them even charge for their “intel”. Some are especially gifted when it comes to using religious jargon to entice people of faith into investing with them. They push all the right buttons. They talk about soldiers, family, church, God, country …. etc. Some even conduct prayer meetings and bible studies. I’ve been investing for over 30 years and I’ve never heard of any other investment where investment advisers presented things this way. If the fundamentals of the investment are solid and the prognosis for it is good quite frankly it doesn’t matter to me if the adviser believes in Jesus, Buddha, or Frank Zappa. Ever heard of Occum’s Razor? It says essentially that all things being equal the simplest answer is usually best. Well these days many are gravitating toward Cidu’s Razor. Cidu’s Razor is the idea that the more convoluted the conspiracy theory the more likely it is to be true. You’ll see a lot of conspiracy buffs in the dinar world. People who claim that 9/11 was an inside job to act as a pretext to go to war in Iraq, and that this RV was planned all along as a way to generate trillions of dollars for the US Govt. In effect, we killed thousands of our own people to justify going over to Iraq to steal their oil. This theory doesn’t really explain why we forgot to blame Iraqis for 9/11 since the 19 Al Queda hijackers were Saudis, and it wasn’t Iraq that was harboring Bin Laden but Afghanistan (and eventually Pakistan it seems), but I digress. The point is it’s very easy for people who don’t know much about investing to be swayed by all of the conspiracy nonsense and buy into the idea that some international bankers were behind all of this and that we just happen to be privy to the right intel and are going to cash in along with them. Wooo Hooo!!! Bully for us!!! Well, it’s been 8 years now and we’re still waiting. It’s important to leave the conspiracy theories, eschatology (bible prophecy), and appetite for inside info at the door and grasp the fundamentals of investing when it comes to the dinar. This is a long-term speculative investment. In short, it’s a gamble. A long shot. Don’t put any more into the dinar than you can afford to lose. PERIOD!!! Anybody who tells you it’s a sure thing and that you’re buying a winning lottery ticket is either stupid or dishonest. Some have the idea that you can always sell your dinar and recoup most of your money. Really? Have you tried that? A lot of people bought their dinar from currency dealers who are no longer in business. You can try selling your dinar on ebay but you’ll have to take an even bigger hit there. And even if you could sell back to the dealer you bought from, who’s to say that the dinar won’t go down in value? I mean anything could happen. An earthquake. A meteor. Civil war. A coup. War with Iran. If the dinar is ever completely devalued I can assure you that none of the dinar dealers will give you a plug nickel for them. There’s absolutely no guarantee that you won’t wake up tomorrow and find that every dollar you invested in the IQD is gone. Always remember that. If you need an RV of the dinar to pay your bills or bail you out of your financial situation then I’m afraid you’re out of luck. If it ever does pay off it will likely be years away. In the currency world it is said that a currency is only as good as the government behind it. Well the Iraqi government has been shown to be corrupt, divided, and pretty much incompetent. This is to be expected though, since democracy is a new concept to them. I’m not bashing them at all. The problem isn’t the Iraqis but the pumpers who are placing expectations of an instant turnaround in Iraq in the minds of investors. It took the US nearly 100 years to do away with slavery, 150 years to give women the right to vote, and nearly 200 years to pass laws guaranteeing equal opportunity to its citizens regardless of their race. 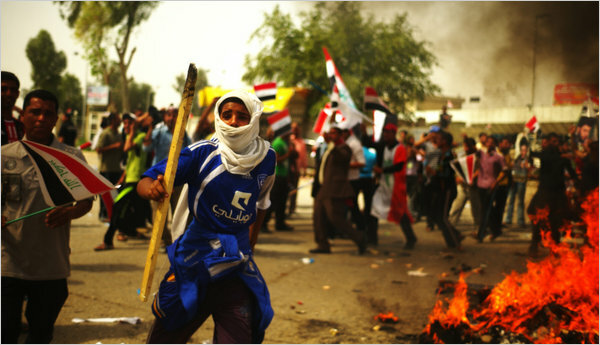 Why are we so impatient with the Iraqis? Because we want our money, of course. Well it’s time to step back and think this through. It’s unrealistic to expect Iraq to create a government in 8 years that is stable enough and efficient enough to garner the confidence of the world community to the point that its currency can equal the US dollar. It could happen some day. If everything goes well and their oil production increases like they’re hoping for it could happen in 5-10 years. But no time soon IMO. Many pumpers like to refer to the fact that Iraq has 143 billion barrels of oil in their reserves that can be used to support their currency in an RV of $1- 4. Figuring about $75/bl that would work out to over $10 trillion. If Iraq has reduced their money supply from around 30 trillion dinar to around 10 trillion I could see how their reserves could back a $1 RV. But there’s a problem here. At the rate that Iraq is going … pumping 2.5 million barrels a day, it would take them over 150 years to pump all of that oil out. Even if they quadruple their production as they have stated they intend to over the next few years, you’re still looking at 40 years. How do you back a currency with a commodity that you can’t produce for decades? When the US was on the gold standard did we back the dollar with gold that was still in the ground or with gold that had already been mined, processed, and was ready for distribution? What happens when a country comes to Iraq (as some did with the US 40 years ago for gold) and says “we would like to redeem our holdings of your currency. Give us our oil please!”? Is Iraq supposed to say “just have a seat and we’ll have your oil in another ten years or so.” Of course not. The commodity that backs the currency must be readily available, otherwise the currency isn’t really backed. It’s fiat, or faith-based, and a government as shaky as Iraq’s doesn’t inspire faith in foreign investment. Neither does lack of security as we see in Iraq. The only thing that could inspire confidence is their wealth of natural resources like oil and natural gas, and that wealth must be real and tangible, not something that is projected decades down the road. Don’t fall for the line that Iraq has the second largest oil reserves in the world and that’s what will support a $4 RV. All that tells you is what their currency might be worth in the distant future. For now they likely can’t RV at more than 10 or 20 times their current value. In other words a penny or two. If you own a hundred million dinar then yeah, you might hit it big with the dinar. But most investors have only a million or two and would only stand to make $10,000 – 20,000 if and when Iraq does RV. If they re-denominate (or lop) then you’re probably looking at no more than 2 or 3 times the initial investment. I’m not saying there’s no profit to be made here, just nowhere near what the dinar douchebags are telling you and the risk involved is much greater than they will acknowledge. Bear that in mind with any dinar purchase you make. The idea that the Bush administration came up with “The Plan” and put things into motion to RV the Iraqi dinar and generate trillions of dollars for the US economy and reboot the world economy is a myth. You will never find one iota of evidence supporting this claim. It’s all fabricated. People who believe in this myth are constantly trying to read the RV into everything they see and hear coming from Washington and Baghdad. Every press conference Obama gives. Every visit Hillary Clinton or Joe Biden make to the middle east. Every proposed change in tax legislation. It’s all done with the knowledge of the imminent RV of the dinar. And news that doesn’t support the idea of an RV? It’s all smoke and mirrors, you see. All done to throw us off and discourage speculation. It seems to me that if the powers that be wanted to discourage speculation they could just stop allowing dinar sales completely. But IMO they want people to buy dinar. The more we buy the more money is available for the funding of Iraq as millions of dollars a month flow into Iraq’s treasury, in effect providing interest free loans to Iraq. That way it doesn’t have to come out of the US budget or Iraq’s oil revenues. Nice racket they’ve got going, isn’t it? Too bad it’s being conducted at the expense of many desperate people who believe that the RV is their financial salvation. In conclusion, I’ll post the thoughts of Big Jake, a contrarian dinarian whose posts frequently appear at Dinar Daddy. I have come to the conclusion that all the blogs, gurus and associated websites, including yours, are “PART OF THE PLAN”. I think my opinion is easily as valuable as all the gurus incessant proclamations. Think about it. The problem the planners were trying to solve is how to get Iraq’s economic system to a state of stability (or as close as possible) without having to outright subsidize it. The answer would be to find a product that everyone would want, over as long a period of time as necessary and that would be almost irresistible to the “consumers”. The challenge is how to do this without being obvious about what you are doing and destroying demand in the process. The genius of the plan is its simplicity. What better marketing engine could the originators have than good old word of mouth, probably face to face in the beginning but very quickly supplanted by the internet. All that was necessary was to start spreading “the rumor” through a select group of contacts and let human nature take over. It really does not matter whether the gurus are pumpers, dumpers or thumpers (really excited John-Q’s) because they accomplish the task of spreading the word, building excitement (unreasonably so in most cases) and PROMOTING the product by establishing a reasonable business case for astronomical return on investment with minimum risk of loss. In this case, the PRODUCT is the essentially worthless Iraqi Dinar. 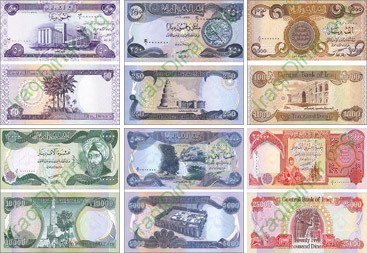 The oldest, truest maxim in marketing is that perception is reality and the planners did a masterful job of building a perceived value by linking the Iraqi Dinar to a similar product known as the Kuwaiti Dinar. This is where all the blogs, gurus and websites have really been the most valuable as they were a critical element of the education process. The final “P” in the marketing triangle is the PRICE and that is managed by the CBI. All they had to do was establish a ridiculously lousy initial price and then sit back and watch the herd make beeline to their front door. When the demand slows a bit (here is the brilliant part of the plan) all they have to do is…wait for it….wait for it….INCREASE THE PRICE. This is an absolutely freaking brilliant marketing strategy! They build a perceived value that makes the product appear to be a bargain at any price then increase the price to build the perception that demand is going nuts and guess what….the demand goes nuts. All of this is endlessly supported by the blogs, gurus and websites that just eat this stuff up. The proof of all this conjecture is easy. Current reserves, not including the windfall of the released Saddam-era funds, are $53 BILLION…for a country that produces insufficient oil to support even their current, meager annual budget, has continuing security issues and cannot even get the differing factions to agree to agree on the most basic of governance requirements after eight freaking years! What does all this mean to the potential RV? Probably nothing….I just thought it would make for as much entertaining reading as the endless proclamations of bounty from the gurus….as represented by the ever-complicit blogs and your website. Maybe Britething can make this the subject of yet another of his blusterous broadcasts!